Hank and Drover must deal with all sorts of strange phenomena. They must deal with an attack of the terrible Charlie Monsters and a polka-dot midget. 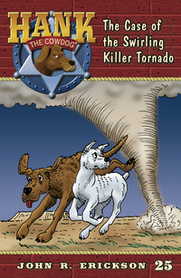 Then they must gather every ounce of courage they have to save the ranch from the Swirling Killer Tornado.